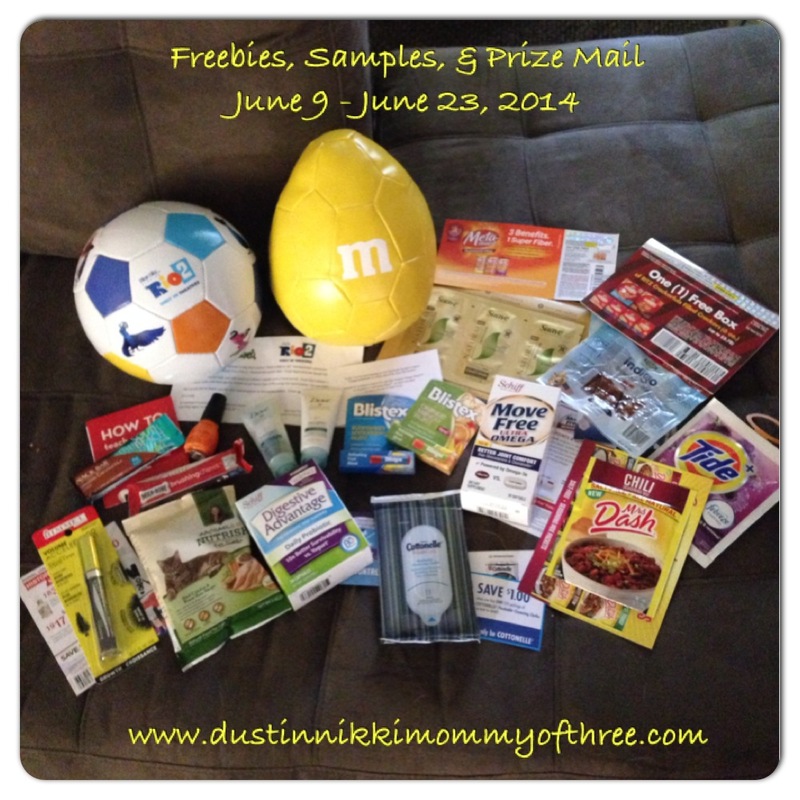 These are all the samples and freebies (including a few giveaway/instant win prizes) that I received in my mailbox June 9 through June 23, 2014. I am giving myself a pat on the back because usually I get so far behind on posting these sometimes! Check out the list below. Be sure to check in often as I like to post offers, samples, and freebies when I see them. Also be sure to follow me via my social media because they always go out my social sites as well. The more ways you follow, the better chance of not missing anything. I also have some more product reviews and blog giveaways coming up so stay tuned. In the meantime, don’t forget to enter our The Lego Movie DVD/Blu-ray Blog Giveaway located on the right side bar!